Tom Young trained at the City & Guilds of London Art School on the full time Lettering course that ran until 1996. 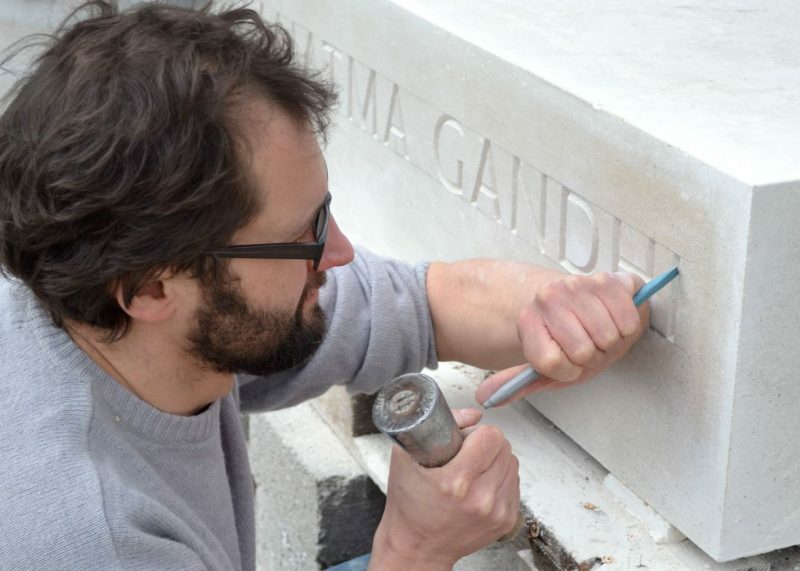 Since then he has undertaken a variety of commissions for clients including St George’s Chapel, Windsor, The Old Royal Naval College in Greenwich, the Olympic Park in Stratford and Eton College, producing lettering work in a variety of materials, including stone, wood, metal, brick and concrete. Having taught Lettering on the Historic Carving course at the Art School since 2006, Tom took over as the Senior Lettering tutor in 2014 and also runs the annual carving and lettering module for the Conservation course.